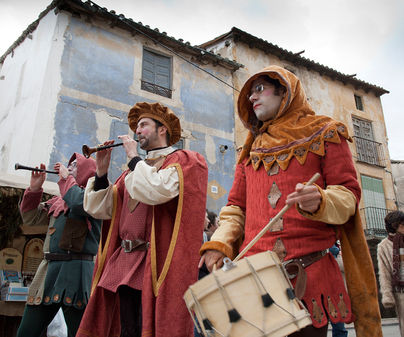 A fair that has been celebrated since the Middle Ages, attended by the Catholic King and Queen, and mentioned in English and French books about Spain from the sixteenth century, which is also evidenced in the architecture of the porticos en the plaza. 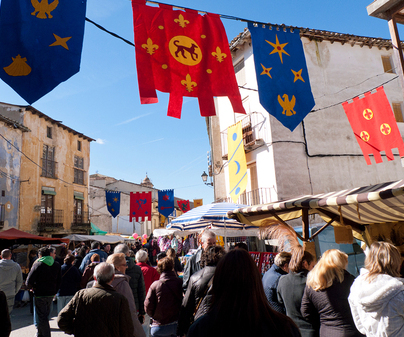 The locals dress in traditional costumes of the era, and they set up their stalls of artisan ware and gastronomic products on the calle Mayor and in the Plaza, in addition to giving performances, dramatizations, and exhibitions. 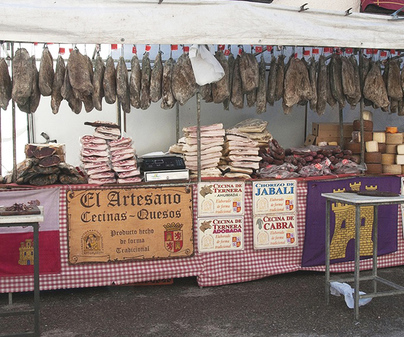 In the fairgrounds everyone is treated to a plate of migas, and you can learn about specimens in danger of extinction, such as the Alcarria sheep, the roya bilbilitana sheep, the ojalada sheep, the negra serrana goat, the Guadarrama goat, and the blanca celtibércia goat. Varies. The weekend closest to February 24. Dress warmly as the climate tends to be very cold at this time of year in Guadalajara. 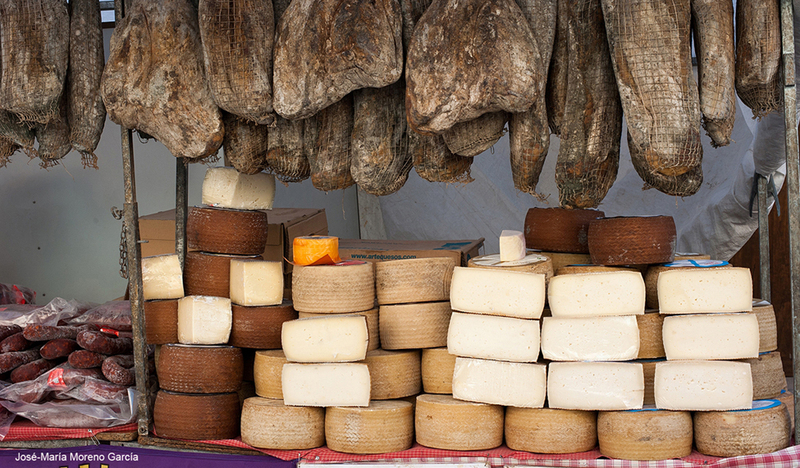 Children can enjoy seeing farm animals, the exhibition of horses, and even try, perhaps,las migas (fried breadcrumbs).